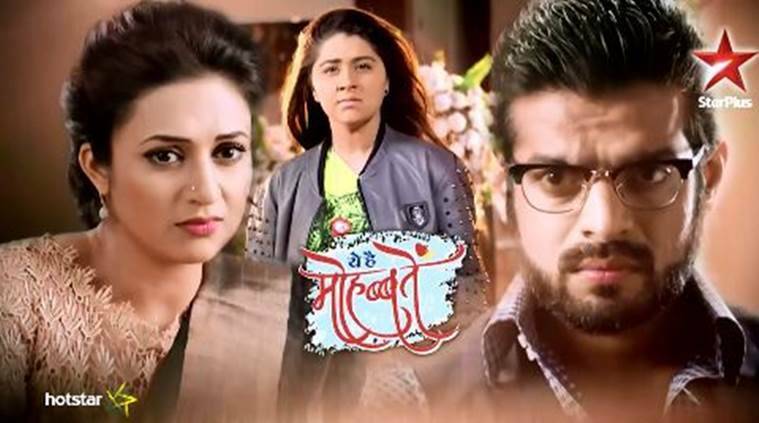 Yeh Hai Mohabbatein, January 19, 2018 full episode written update: Toshi ji asks Shanno how does she know about things kept in the kitchen. Episode starts with Raman telling everyone about his muscle pull. He advises everyone not to cancel their plan because of him. Ishita asks Neelu to give hot water bottle to Raman. Raman asks Neelu to feed him as he cannot move. Neelu asks Ishita to feed Raman as she is scared of him. Ishita says she was waiting for this opportunity from a very long time. Ishita goes to Raman’s room. Raman asks if she can feed him with her ghunghat on? She says she can do this. Raman eats the food and says he remembers this taste. Ishita suggests Raman to massage him. Ishita gives Raman a massage and remembers her time with Raman. Raman sleeps while holding her hand. Shagun discusses with Ishita at a coffee shop that she has to find the pills before Simmi gets to know about their plan. Ishita goes to Raman’s room and brings him tea. She smiles seeing him sleeping and wakes him up. Some tea falls on him. Aaliya reminds him that he can move his neck now. Aaliya asks Raman to thank her. Toshi ji asks her to come and make breakfast. While Ishita is working in the kitchen. Toshi ji starts staring at her. Toshi ji asks Shanno how she knows where is everything in the kitchen. Neelu saves Ishita by saying she helped Shanno with everything. Pihu comes to Toshi ji and cries. Toshi ji asks her why she is crying. Pihu tells her that she didn’t make her project so she doesn’t want to go to school. Toshi ji asks Simmi to help Pihu. Pihu says sorry, I won’t do it again, please write a note for me, I will make the project and take it tomorrow. Simmi refuses. Ishita goes to Pihu and helps her in making her project. Pihu hugs Ishita and thanks her. Ruhi shows her project to Raman. Simmi asks Ruhi who helped her. Ishita tells Simmi that Raman would have scolded you if Pihu’s teacher called you and complained, I did this to save you. Ishita says she knows Raman is the head of the family, he will listen to you if you do his work, I never betray my master. Simmi says you are quite smart. Raman comes and asks where is today’s newspaper. Simmi gives him. He thanks Ishita for helping Pihu. She says thanks Simmi, she asked me to help Pihu. Raman thanks Simmi. Simmi says I had to do this for Pihu. Ishita thinks to herself that she will win Simmi’s trust and will find out about pills.